I continue my obsession with the voice otherwise known as Jaw with another track that's been recommended to me by Teki Latex. It's a song by Claude VonStroke, (real name Barclay Crenshaw, hailing from San Fransisco, USA) called 'Le Fantôme'. It sure is a big tune. 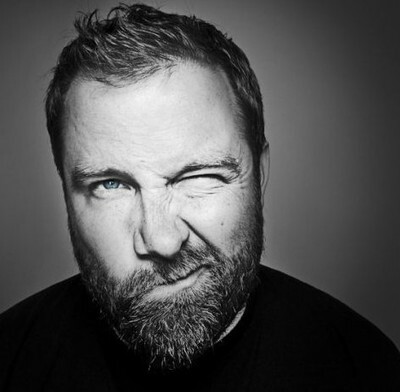 Claude VonStroke himself is a pretty extensively known for his music. He's "headlined almost every major club, festival and basement after-party in the world," so I can safely say that this guy knows what works when it comes to music designed to make you dance. This song, featuring the vocal gems of Jaw, is absolutely no exception. 'Le Fantôme' indeed does have all the trappings of a toe-tapping, feet-moving wonder. And that's what it is really. Starting off with this beefy techno kick that ignites the beat and fires the rest of the song into life, the path ahead is a laid-back and funky minimalist house-style furore all the way to the end of the track. For example, the build-up at 4:40 and the nonchalant dropping back in of the beat at 5:10 is such a brilliantly thought-through moment. The organ-style synths that get louder and louder as the song progresses, and the whispers every now and again, reflect the slightly sinister atmosphere floating above it like a dusty ghost - but a dusty ghost who not only likes to but also knows how to dance. He's doing a two-step now, can you see? That selfsame spooky (Ghostbusters-style) atmosphere is bolstered by the splendid vocals of Jaw, which I could really listen to all day and and night. He sings about being your worst nightmare / your best dream / behind the mirror / when you scream - at least I think that's what it sounds like. He also declares about a third of the way through: I'm a ghost. The effect on the vocals does well to make them sound as wobbly and warbling as possible without losing the meaning. This is what I imagine ghosts to sound like, to be honest. So it's very spooky. But with such an affable bassline, it couldn't be any spookier than spooky. Kind of like a techno house response to Michael Jackson's 'Thriller'. Spookstep.